Name: Aloe vera (L.) Burm. 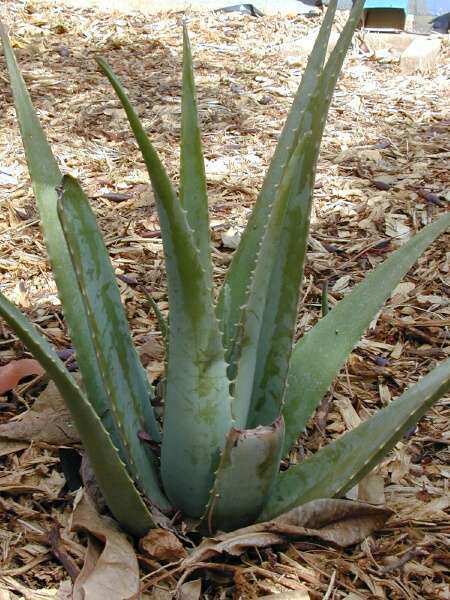 f.
= Aloe perfoliata L. var. 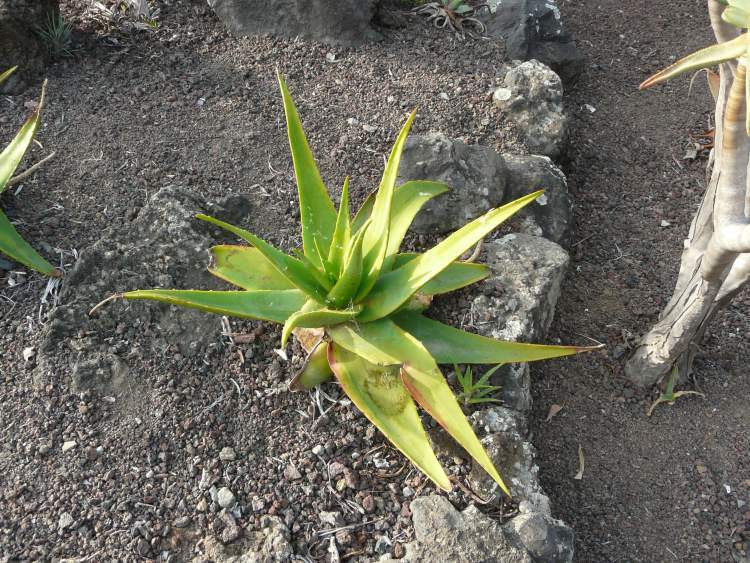 vera L.
Leaves at Pukalani, Maui - Credit: Forest and Kim Starr - Plants of Hawaii - Image licensed under a Creative Commons Attribution 3.0 License, permitting sharing and adaptation with attribution. 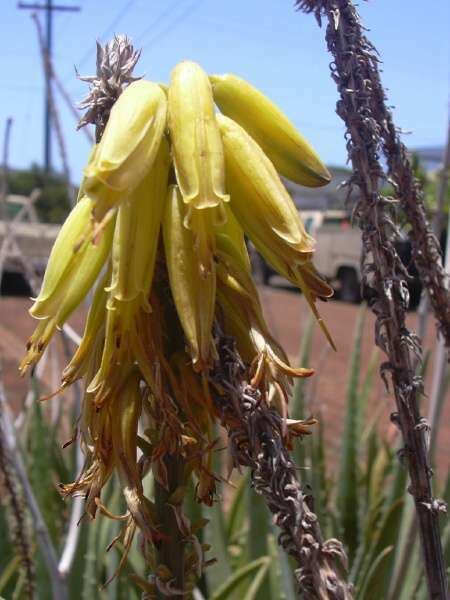 Flowers at Honokanaia, Kahoolawe - Credit: Forest and Kim Starr - Plants of Hawaii - Image licensed under a Creative Commons Attribution 3.0 License, permitting sharing and adaptation with attribution. 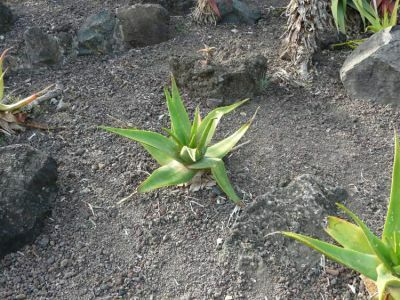 Habit at State nursery Kahului, Maui - Credit: Forest and Kim Starr - Plants of Hawaii - Image licensed under a Creative Commons Attribution 3.0 License, permitting sharing and adaptation with attribution. 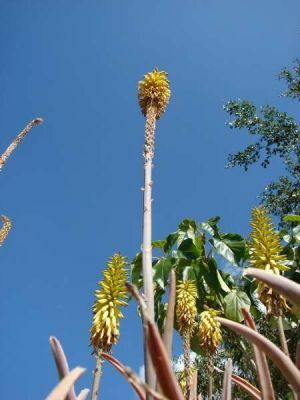 Leaves and flowers at Pukalani, Maui - Credit: Forest and Kim Starr - Plants of Hawaii - Image licensed under a Creative Commons Attribution 3.0 License, permitting sharing and adaptation with attribution. Habit at Honokanaia, Kahoolawe - Credit: Forest and Kim Starr - Plants of Hawaii - Image licensed under a Creative Commons Attribution 3.0 License, permitting sharing and adaptation with attribution. 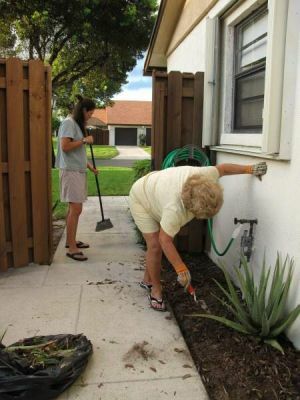 With Kim and Billie gardening at Oakwood Lakes Boynton Beach, Florida - Credit: Forest and Kim Starr - Plants of Hawaii - Image licensed under a Creative Commons Attribution 3.0 License, permitting sharing and adaptation with attribution. Flowers at Pukalani, Maui - Credit: Forest and Kim Starr - Plants of Hawaii - Image licensed under a Creative Commons Attribution 3.0 License, permitting sharing and adaptation with attribution. 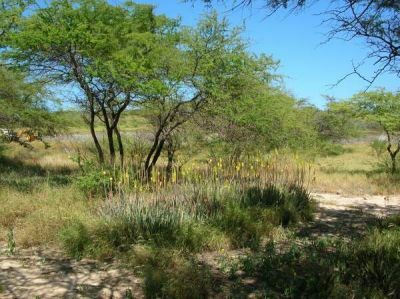 Habit at Oakwood Lakes Boynton Beach, Florida - Credit: Forest and Kim Starr - Plants of Hawaii - Image licensed under a Creative Commons Attribution 3.0 License, permitting sharing and adaptation with attribution. 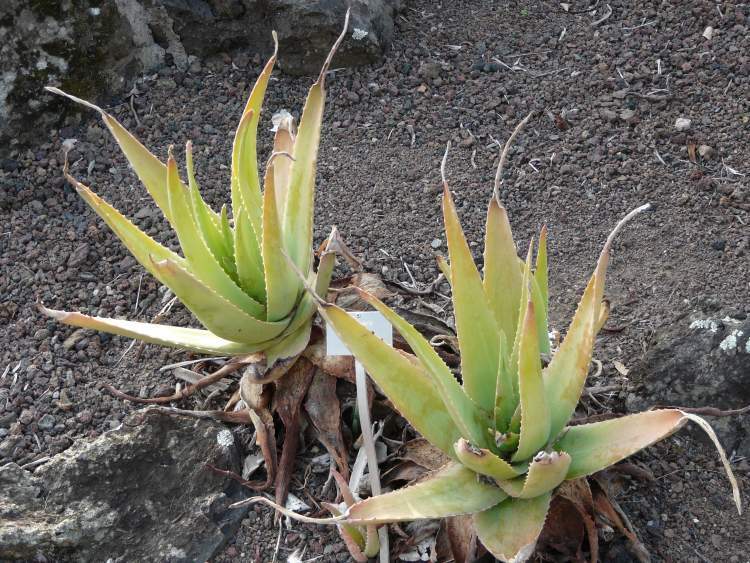 Flower buds at Honokanaia, Kahoolawe - Credit: Forest and Kim Starr - Plants of Hawaii - Image licensed under a Creative Commons Attribution 3.0 License, permitting sharing and adaptation with attribution. Habit at Kalepolepo, Maui - Credit: Forest and Kim Starr - Plants of Hawaii - Image licensed under a Creative Commons Attribution 3.0 License, permitting sharing and adaptation with attribution. 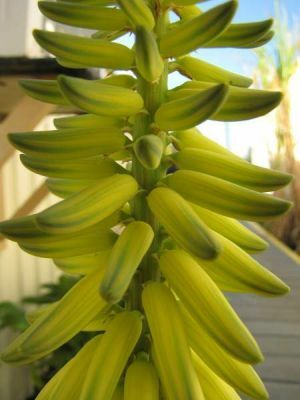 Flowers at State nursery Kahului, Maui - Credit: Forest and Kim Starr - Plants of Hawaii - Image licensed under a Creative Commons Attribution 3.0 License, permitting sharing and adaptation with attribution. 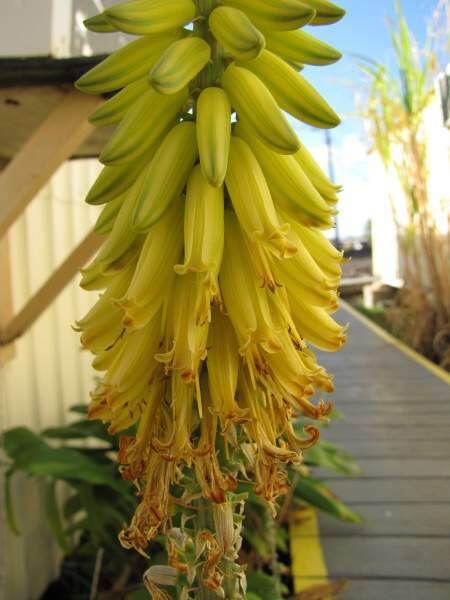 Flowers at Makawao, Maui - Credit: Forest and Kim Starr - Plants of Hawaii - Image licensed under a Creative Commons Attribution 3.0 License, permitting sharing and adaptation with attribution. 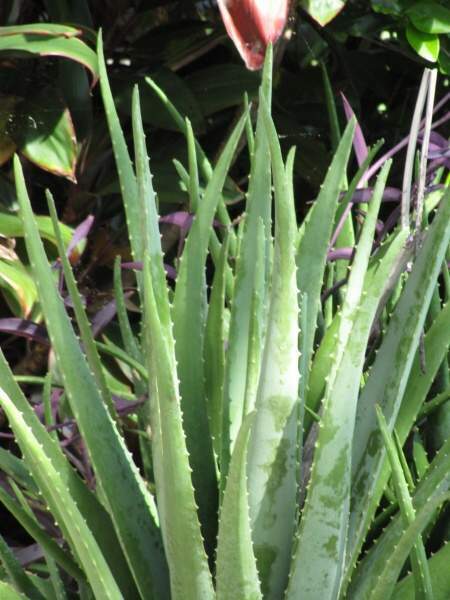 Leaves at State nursery Kahului, Maui - Credit: Forest and Kim Starr - Plants of Hawaii - Image licensed under a Creative Commons Attribution 3.0 License, permitting sharing and adaptation with attribution. Habit at Kapapa, Oahu - Credit: Forest and Kim Starr - Plants of Hawaii - Image licensed under a Creative Commons Attribution 3.0 License, permitting sharing and adaptation with attribution. 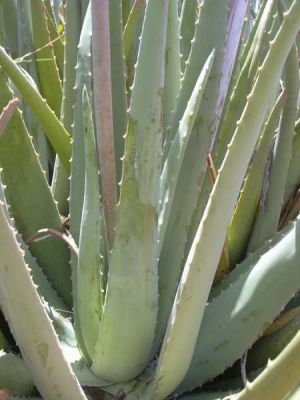 Map for Aloe vera (L.) Burm. 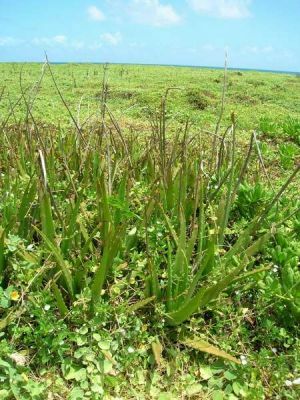 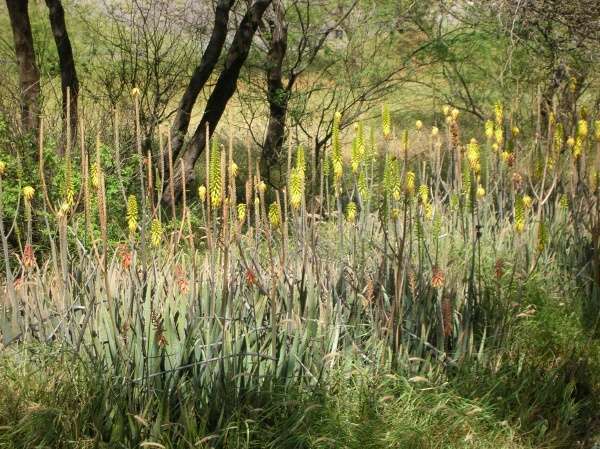 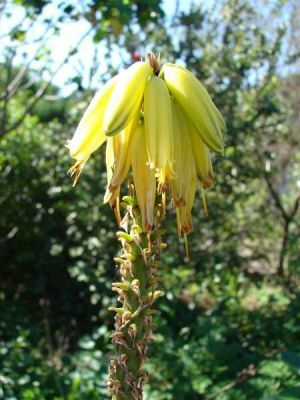 f.
1) Aloe arborescens Mill. 2) Aloe ferox Mill. 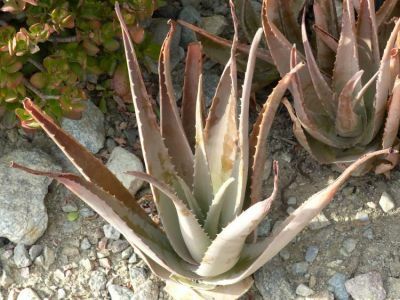 3) Aloe graminicola Reynolds 4) Aloe perryi Baker 5) Aloe x schoenlandi Baker 6) Aloe secundiflora Engl. 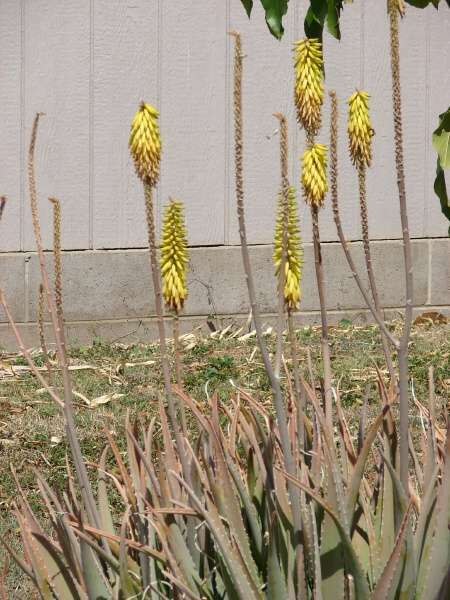 7) Aloe succotrina All. 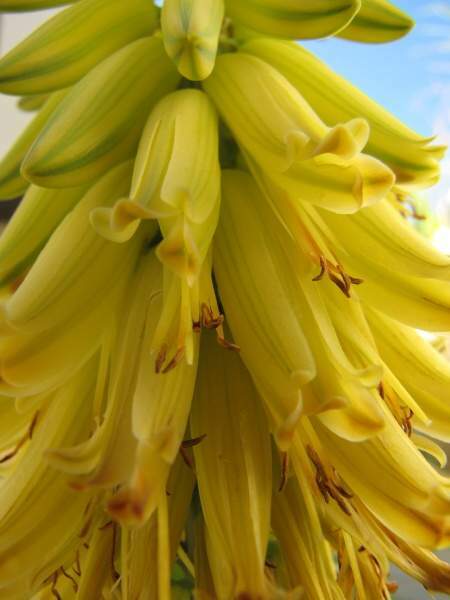 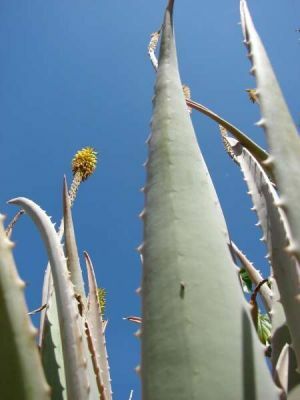 8) Aloe vera (L.) Burm. 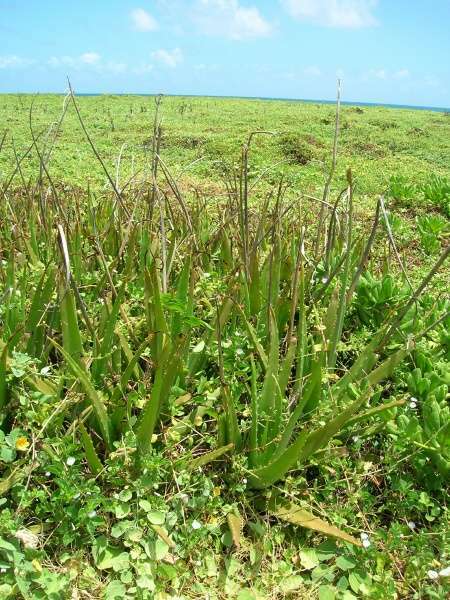 f. 9) Aloe barbadensis Mill. 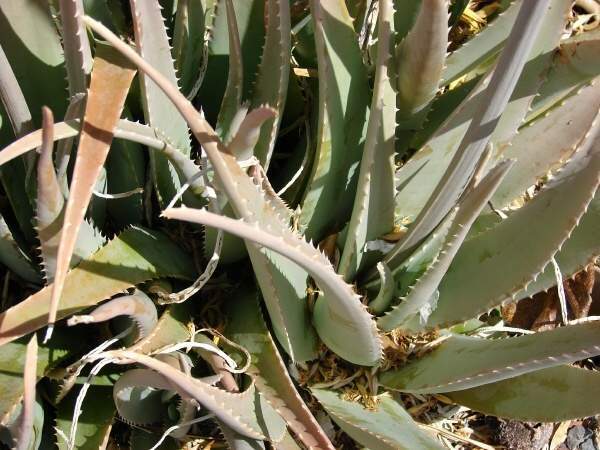 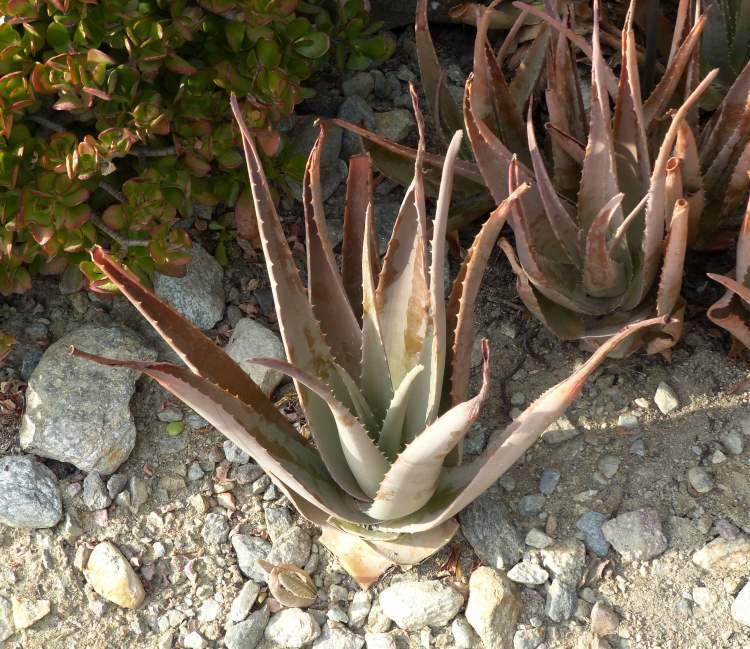 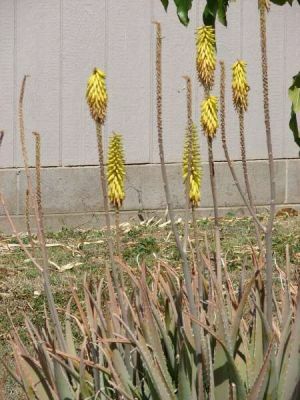 10) Aloe perfoliata L. var. 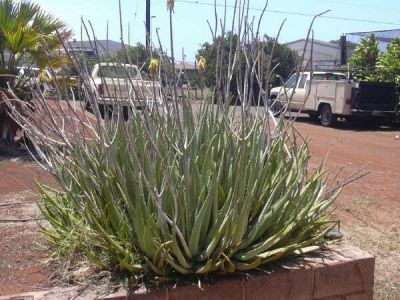 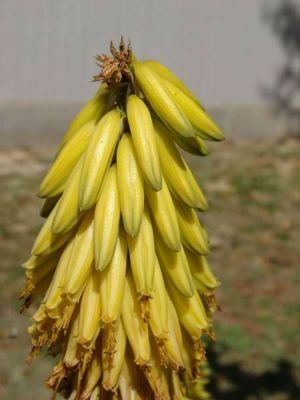 vera L. 11) Aloe vulgaris Lam.